NCPN Roses is an association of clean plant centers, scientists, educators, state and federal regulators, large and small nurseries, rosarians and growers of garden and cut flower roses that act together to ensure that rose budwood and rootstock is clean and available. It was established in 2015 and is part of the NCPN specialty crops network. 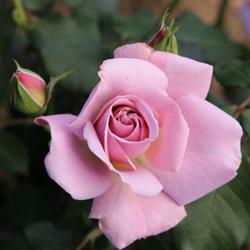 Rose was declared the national flower of the United States by the US Senate in 1985. Roses are an important ornamental Specialty Crop industry that contributes significantly to our economy. The annual value of garden roses is $400 million (AmericanHort.org).The garden rose nursery industry is investing significantly in rose breeding programs nationally and internationally that are resulting in disease resistant roses that require minimal chemical inputs resulting in protection of US environmental quality. 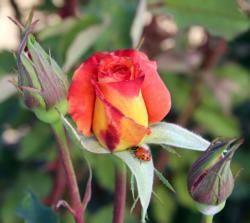 Rose viruses have been found to be common in cultivated garden roses. Those viruses are easily transmitted to new roses propagated from infected stock. The garden rose industry understands that the effects of these viruses can be significant to the success of the commercial rose nursery business and the adoption of disease resistant, healthy roses in sustainable garden sites. The solution is to ensure that valuable rose cultivars are available as virus-tested G1 stock to propagators.